“Beneath the makeup and behind the smile, I am just a regular person. 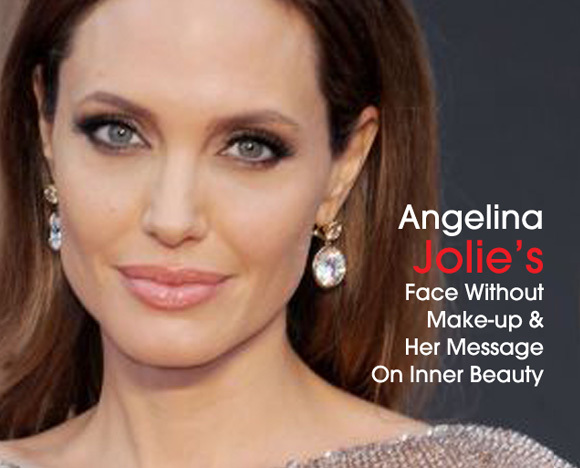 So many girls look up to me.” That is Angelina Jolie baring her plain face without any make-up and along with a message of encouragement on her Facebook account a few days ago. She goes on to encourage her followers to value inner beauty more than outer appearance. We are genuinely inspired by celebrities who preach the message of accepting and loving who you are. What they say has more impact and touches far too many people. In May 2013, Jolie significantly influenced the conversation about breast cancer when she made an announcement of her double mastectomy and reconstruction.